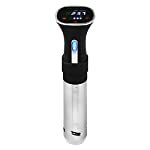 The Primo Eats Sous Vide Precision Cooker with Digital LCD Display is a simple device that prepares better steaks than a five-star steakhouse. You don’t need no culinary experience to create high-end eateries. 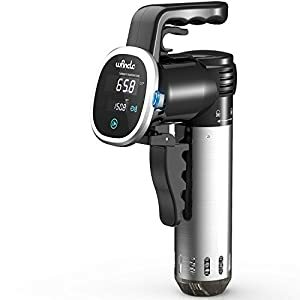 Primo Eats brings the art of sous vide cooking to your kitchen for tender, moist and achieve perfectly cooked dishes that look and taste amazing. Traditionally when you cook your meals, the heat is not very predictable, and to get the exact doneness, you have to remove the food at the right moment before the food varies from good to raw or burnt. Another fact with traditional cooking is the heat usually comes from the bottom, which leaves uneven results. 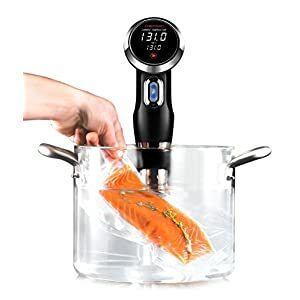 Our revolutionary and innovative Sous Vide by Primo Eats, uses heating element along with other amazing features to heat the water and circulate around the pot. What’s more, our user friendly digital LCD display lets you control the exact temperature and time so you won’t never be wrong. 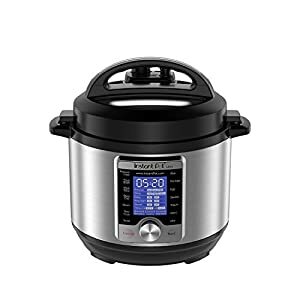 We figured that you will cook meat, poultry, fish, pork, turkey, or any other type of food and you want to achieve perfect results, so we built it with that in mind. 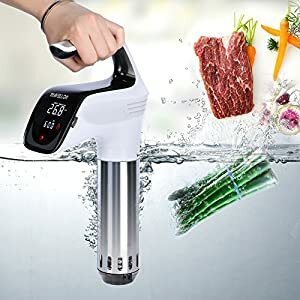 The water circulator ensure that the water is moving around the food constantly to ensure uniform cooking. In addition the active control thermostat keeps the cooking temperature within +/- 1% degree. 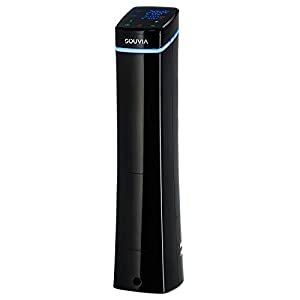 It’s an extraordinary device with great accuracy and optimal control. 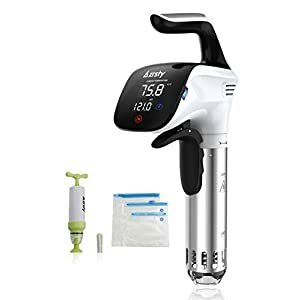 Click the Add to Cart button now and get your very own Primo Eats Sous Vide Precision Cooker TODAY! 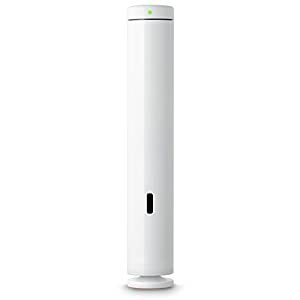 Primo Eats Sous Vide Stick features a powerful pump that keeps liquid temperature throughout the cooking bath uniformly, making sure that individual portions of food cook evenly for perfection in every bite. Our sous vide is the simplest and most delicious way to prepare food and achieve perfect results. The sous vide immersion cooker comes with an extra large digital LCD display that lets you control the time and temperature in Celsius and Fahrenheit from across the room. 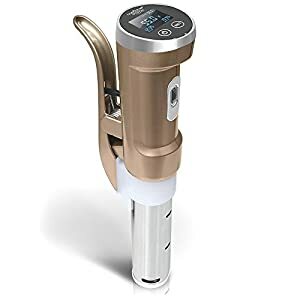 Simply attach the screw mount at the edge of the pot, attach the Primo Eats Sous Vide Stick to the mounting, turn the device and set it up according to your needs. Don’t worry about uneven results our superb exclusive active control thermostat integrates precision temperature settings within +/- 1% degree and the circulation heating water pump keeps the water moving in order to yield a constant temperature and perfect results each time. 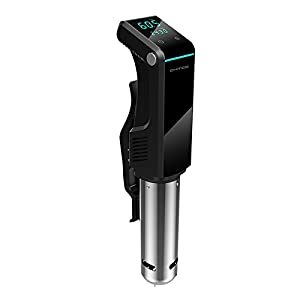 Cleaning your Primo Eats Sous Vide Precision Cooker is a breeze. The device should be cleaned and dried after every use; and all components must be washed by hand with a soft cloth and soft soap. Dry with a clean hand towel the device and store the device in a dust-free, dry place. Your satisfaction is what drives us to provide the highest quality and innovative kitchen products on the market. 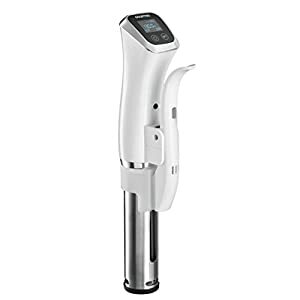 We are confident that you will love your Primo Eats Sous Vide Precision Cooker. Also our products have a legal warranty duty of 1 year.